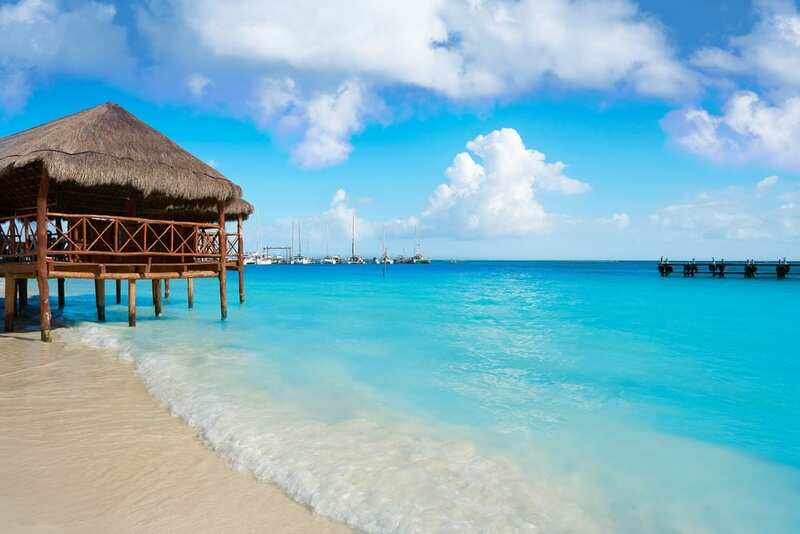 Save up to $600 on your next trip to Cancun or the Riviera Maya! 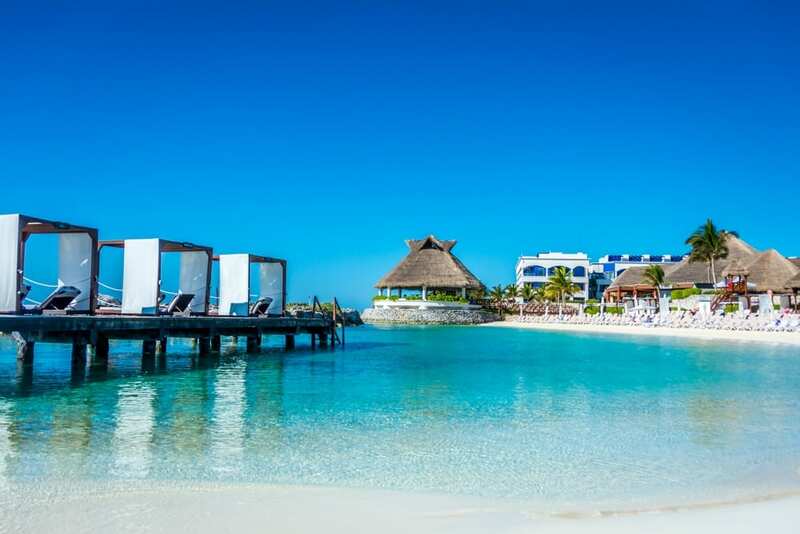 Our Black Friday Air Credit Sale is going on now through November 29th, 2018, and some of our favorite Cancun and Riviera Maya resorts are included, like Paradisus Cancun and Hard Rock Hotel Riviera Maya. Check them all out below and be sure to check back later this week for more destinations and resort highlights for the sale. Save up to $300 per reservation when you stay at least 3 nights at the 4.5-star, all-inclusive Hard Rock Hotel Riviera Maya. This includes their heaven section, which is adults-only and perfect for honeymooners and couples. The family-friendly section offers a children’s pool and children’s program onsite. For adults, choose from 1 of 9 legendary bars where you are truly treated like a rock star! Six bars are reserved for Heaven Section guests, including the Heaven Bar and Disco with a live DJ nightly. Book your stay by November 29, 2018 to take advantage of these instant savings! 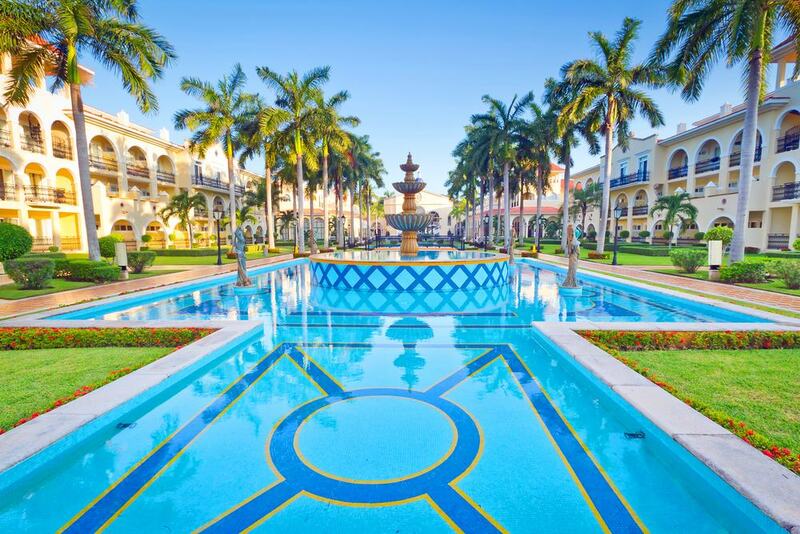 Save up to $600 per reservation when you stay at least 3 nights at the 5-star, all-inclusive Riu Palace Riviera Maya. This luxurious resort appeals to spa-lovers, families, and luxury travelers. Enjoy an eclectic collection of cuisine choices, from Brazilian and Japanese to Italian. Not in the mood for dining out? No problem! Order something from the 24-hour room service to enjoy in your room. In addition to great food, you’ll find plenty of family-friendly amenities like a kid’s pool, playground, and a supervised activity program, as well as nightly entertainment for the whole family. Book your stay by November 29, 2018 to take advantage of these instant savings! Save up to $600 per reservation when you stay at least 3 nights at the 5-star, all-inclusive El Dorado Seaside Suites in the Riviera Maya. Explore the crystal-clear waters of one of the most beautiful beaches in the world, a wide array of incredible new restaurants and bars, in addition to one of the largest spas in the Riviera Maya. Let yourself be pampered in ultimate bliss as our personal concierge, beach butlers, and pool butlers take care of your every request. In addition, you are just minutes away from popular the Mayan ruins and natural wonders of Tulum. Book your stay by November 29, 2018 to take advantage of these instant savings! 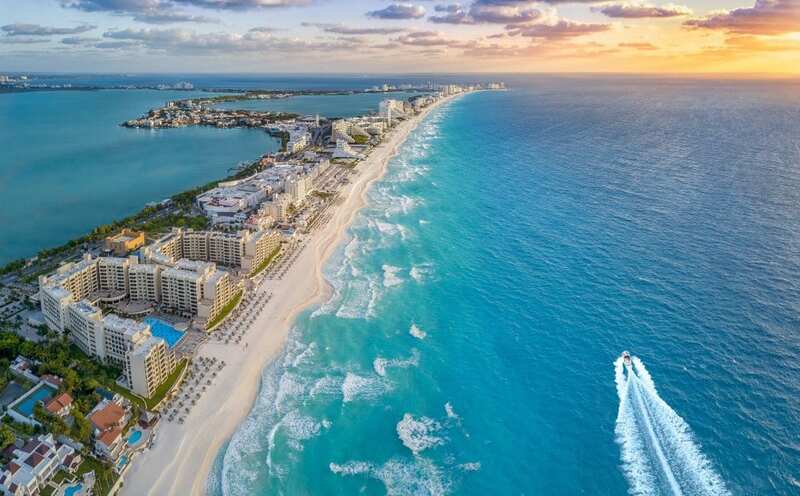 Save up to $600 per reservation when you stay at least 3 nights at the 5-star, all-inclusive Royalton Cancun Resort & Spa. This is a brand new resort that opens in early 2019. Kids will love the on-site splash park, as well as the kid’s and teen’s clubs. Adults will love The Royal Spa with a hydrotherapy circuit and a full-range of massage, body and facial treatments with time-honored healing practices. One thing you will love about the Royalton Cancun is the dining choices. Experience both Mexican and Tex-Mex Cuisine at Agave or Armadillo, respectively. Or try the fresh seafood at at OPA!, a Mediterranean eatery. In addition, there are several beach bars and swim-up bars to choose from. Book your stay by November 29, 2018 to take advantage of these instant savings! Save up to $600 per reservation when you stay at least 3 nights at the 4.5-star Paradisus Cancun all-inclusive resort. This is a truly unique family-friendly resort reminiscent of the ancient Mayan temples. Upon your arrival, you are greeted with the view of five majestic pyramids with the Caribbean Sea as a backdrop. In addition to a gorgeous design, you’ll find an executive golf course with nine par 3 holes, 3 luxurious swimming pools, a YHI Spa, and 8 restaurants. Book your stay by November 29, 2018 to take advantage of these instant savings!